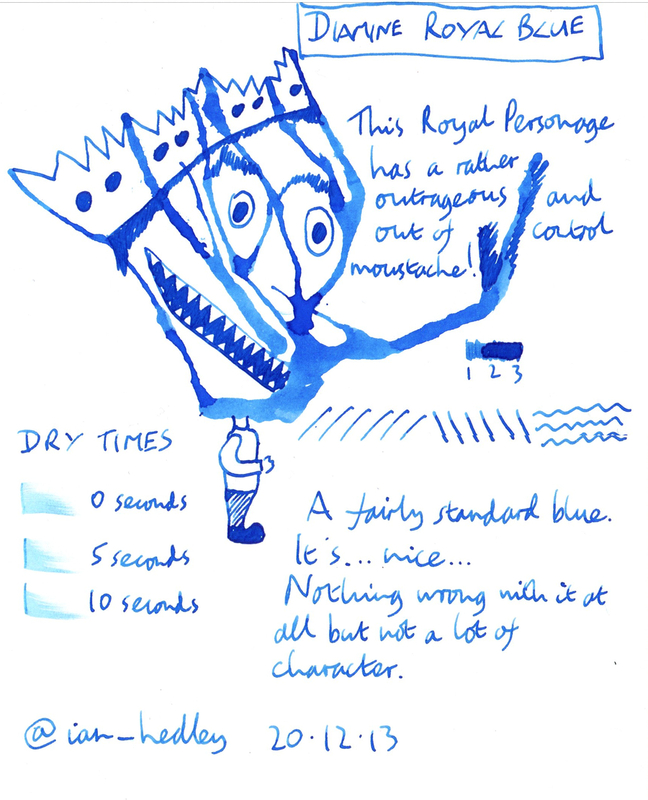 Diamine Royal Blue ink review – Pens! Paper! Pencils! Diamine Royal Blue is blue. There isn’t a whole lot more to say about it. It’s rather a pleasant blue. There’s a smidgen of shading but not much. 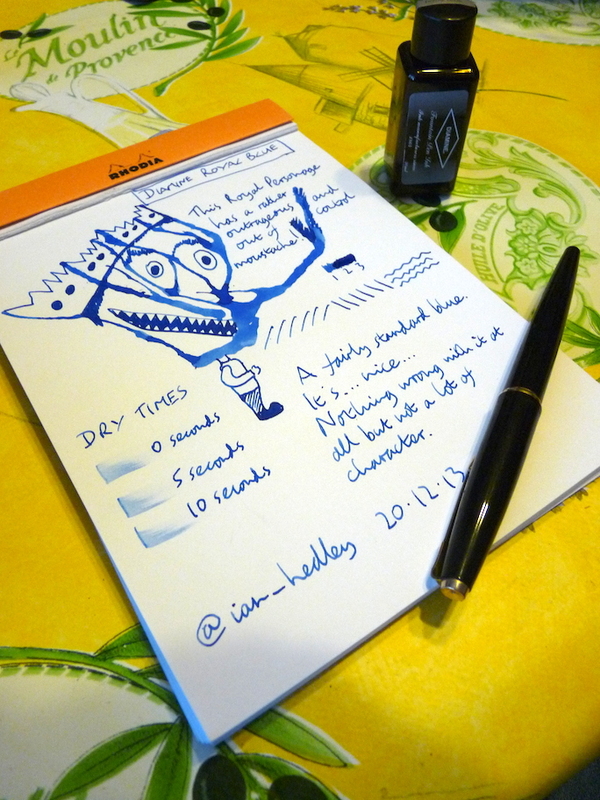 It’s rather on the wet side and slower drying than most other Diamine blues. Here is a little video of me working on the doodle. It features a guest appearance from Molly the kitten. There are plenty of more interesting blue inks than this one.